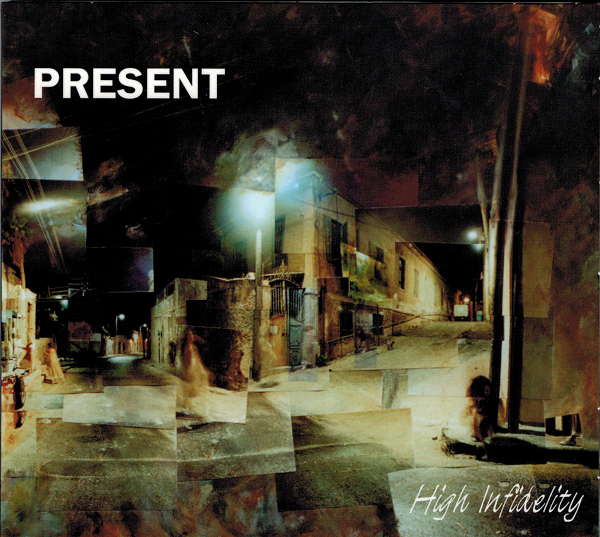 High Infidelity is Present’s seventh release of intelligent music that extends the tradition laid down in Trigaux’s previous releases. This new CD contains three songs: "Souls for Sale," "Strychnine for Christmas," and "Rêve de Fer." "Souls for Sale" opens the disc and is immediately in your face with Frippish guitar riffs, dissonant chords, and interesting themes. "Strychnine for Christmas" is a dark brooding piece about a father who poisons his children, not an uplifting story, but the music is excellent with some cool Mellotron phrases thrown in the mix. The CD closes with "Rêve de Fer," the shortest song, but no slacker at 9:24. Heavy beats, dual guitar lines, and a laid back approach present another facet of this excellent band. If you like King Crimson, Univers Zero, Magma, Heldon, Pinhas, etc., then this latest release from Present is for you. Highly recommended.